If you still love a printed fanzine (like us) you might want to pick up issue 4 of Start! 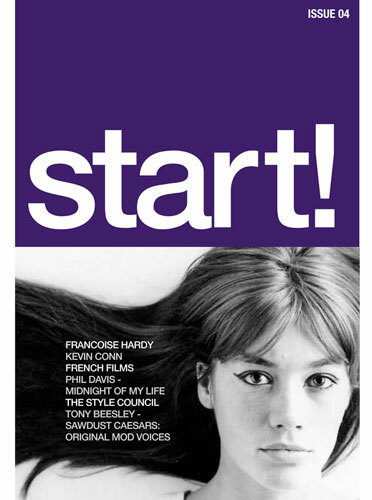 The current issue is a mixed bag, with pieces on Francoise Hardy, Kevin Conn, French films, Phil Davis on the Marriott short movie ‘Midnight of my Life and Tony Beesley on his Sawdust Caesars book. There’s also a chance to win a copy of the Style Council Mr Cool’s Dream book too. You can get a copy for £6 or 8 Euros including postage, with payment bis PayPal to [email protected] Alternatively, check out the fanzine on Facebook or Twitter.